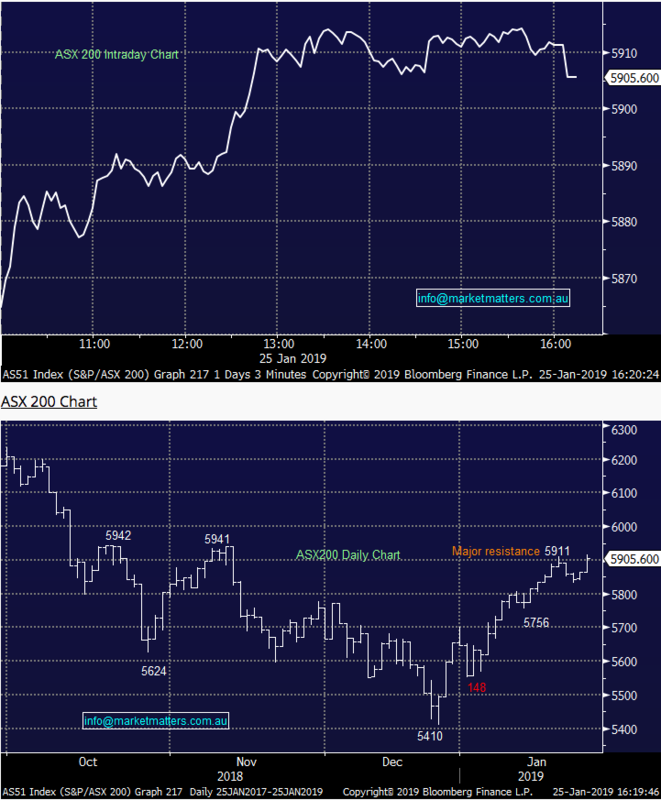 The market rallied today, following on from yesterday’s 20 point grind higher to add another ~40 points today. Buying was seen across the board with banks, resources, tech & even the retail names getting in on the act. Franking credit talk helped those with large balances, commodity prices pushed higher and the US futures helped pull the local market higher. 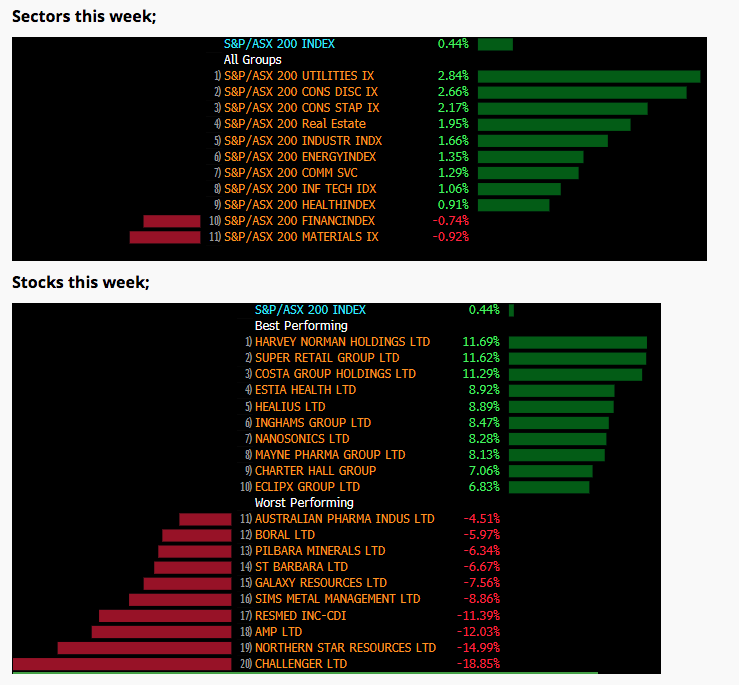 Healthcare the only sector to finish in the red, stemming from a disappointing report from ResMed which we discuss later. Iluka (ASX: ILU) was the best performer today after a solid 4th quarter production, but more importantly Zircon and Ti2O prices moving higher with the CEO calling for the rally to continue. Overall, the index closed up 39 points or +0.68% today to 5905 and was up 0.44% on the week. Dow Futures are trading up 120 points / 0.49%.